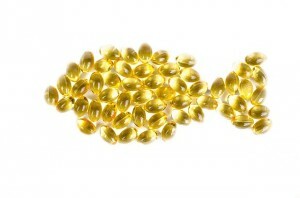 October Promotions: Fish oils 15% off! Fish Oils: Come into Back to Health during the month of October and feel free to purchase any of our fish oil supplements for 15% off! In modern diets, there are few sources of omega-3 fatty acids (one of the fish oils). Omega 2 fish oils are mainly the fat of cold water fish such as: salmon, sardines, herring, mackerel, black cod, and bluefish. There are two critical omega-3 fatty acids, (eicosapentaenoic acid, called EPA and docosahexaenoic or DHA), that the body needs. Vegetarian sources such as: walnuts and flaxseeds contain a precursor omega-3 (alpha-linolenic acid called ALA) that the body must convert to EPA and DHA. EPA and DHA are the building blocks for hormones that control: immune function, blood clotting, and cell growth as well as components of cell membranes. 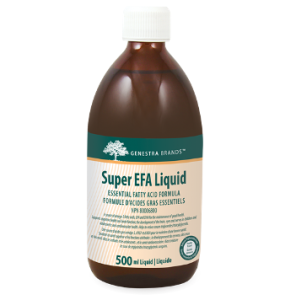 The benefits of omega-3 fatty acids continue to emerge and numerous health organizations around the world recommend adequate daily intake of EPA and DHA. Data continues to accumulate that supports EPA and DHA in cardiovascular health as well as many other areas. These also include: neurological health, vision health, and joint health. DHA plays a major role in the structural integrity of neuronal membranes. DHA is essential for neurological and visual development and is vital throughout pregnancy to support fetal brain growth and formation of the retina and visual cortex. As the most abundant fatty acid in the brain adequate amounts of DHA are needed throughout infancy and adulthood for ongoing optimal function. Low levels of DHA may adversely influence behaviour and mental performance and can affect changes in disposition, memory, visual and other neurological problems! Omega-6 foods containing these fatty acids (another of the fish oils) are numerous in modern diets. They are found in seeds and nuts, and the oils extracted from them. Refined vegetable oils such as: soy oil. Soy oil is used in most of the: snack foods, cookies, crackers, sweets and as well as in fast food. Most people don’t obtain sufficient quantities of it owing to dietary deficiency and also because the enzyme in the body allowing the fish oils to be made becomes less active with age. Check out this amazing product that has a balance of both Omega 3’s and Omega 6’s: both fish oils in one product! Fun Facts on Fish Oils! Many nutrition experts believe that before we relied so heavily on processed foods and humans consumed omega-3 and omega-6 fatty acids in roughly equal amounts. But to our great detriment most North Americans and Europeans now get far too much of the omega-6s and not enough of the omega-3s! This dietary imbalance may explain the rise of such diseases as: asthma, coronary heart disease, many forms of cancer, autoimmunity and neurodegenerative diseases, all of which are believed to stem from inflammation in the body. The imbalance between omega-3 and omega-6 fatty acids may also contribute to: obesity, depression, dyslexia, hyperactivity and even a tendency toward violence. Bringing the fats into proper proportion may actually relieve those conditions according to Joseph Hibbeln, M.D., a psychiatrist at the National Institutes of Health. He is perhaps the world’s leading authority on the relationship between fat consumption and mental health. Dr. Hibbeln cited a study showing that violence in a British prison dropped by 37 percent after omega-3 oils and vitamins were added to the prisoners’ diets. This was presented at the Nutrition and Health Conference sponsored by the University of Arizona’s College of Medicine and Columbia University’s College of Physicians and Surgeons. Take advantage of our October Promotions and ask Dr. Rodwin if you could benefit from a fish oil supplement!